The Innovation Club is a platform for businesses and organizations to gather and discuss hot trends and innovations in the modern world. The series of events is driven by the Embassy of Sweden, Business Sweden and leading Swedish companies operating in Hungary. 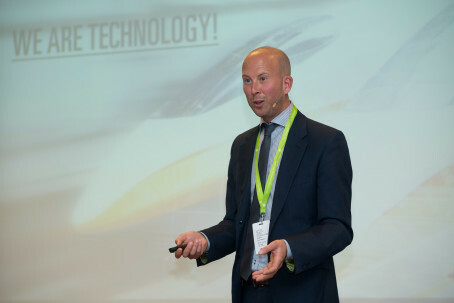 As a founding member of the Smart Forum, Sigma Technology supported the event, and also presented a keynote speaker, Johan Thornadtsson, who spoke about “Smart Troubleshooting in the connected society.” Johan presented the results of a research project on product information in the future. After the speeches, the participants were invited to a team competition. Their task was to come up with disruptive concepts for a Smart Home. Before creating the concepts, the teams needed to understand what vision the different companies have in this area, what relevant expertise they offer, and what demands they see on the market. In the end, all teams presented their ideas and had to select the best. Sigma’s conference about Internet of Things will take place on November 19th. More information about the conference is available on the official website. To apply, please contact hungary@sigmatechnology.se.